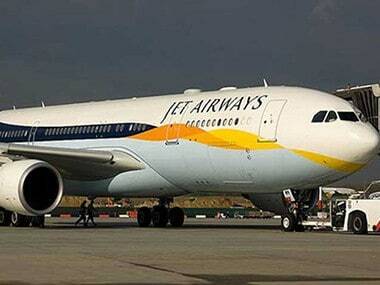 Jet Airways is flying its last flight tonight as it temporarily shuts down operations. The airline has put out a statement that it is compelled to cancel all its international and domestic flights. The cash-strapped airline is yet to receive a loan of about Rs 1,500 crore as part of a rescue deal with government-owned lenders. The last flight will operate tonight, as the beleagured airline was unable to get emergency funding from the lenders or any other source. 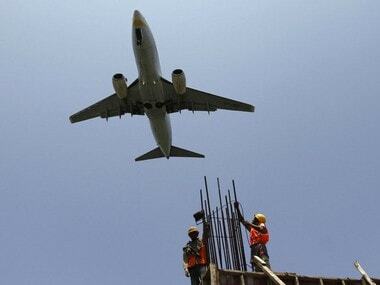 Consequently, the 9W-2502 Amritsar-Bombay-Delhi will be the last Jet Airways flight, said media reports. The statement said: "This decision has been taken after a painstaking evaluation of all alternatives that were made available to the Company and after receiving guidance and advice on the same from its Board of Directors. "Jet Airways has informed the DGCA, and the Ministries of Civil Aviation and Finance and other relevant government institutions, of this course of action. With deep sadness and a heavy heart we would like to share that, effective immediately, we will be suspending all our domestic and international flight operations. "Over the last several weeks and months, the company has tried every means possible to seek both interim and long-term funding. Unfortunately, despite its very best efforts, the airline has been left with no other choice today but to go ahead with a temporary suspension of flight operations, the statement said. The troubles at Jet Airways sent airfares soaring and its pains were the gains for rival carriers like IndiGo and SpiceJet which took over most its slots at premium airports. The formal grounding announcement will lead to exponential spike in airfares amid the peak summer travel demand. Under a debt resolution plan approved by the airline's board on 25 March, founder Naresh Goyal agreed to cede control to the lenders consortium and also resigned from the chairmanship. His wife, Anita, too quit the board. He had also agreed to halve his stake in the airline to around 25 percent. 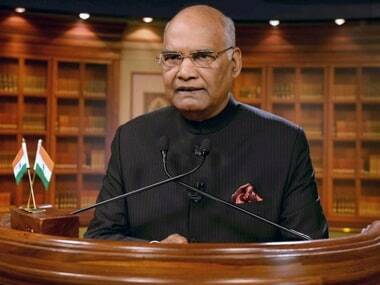 But the 2 April Supreme Court order quashing the 12 February, 2018 RBI circular (which ended all debt recast plans even on a one-day default) put paid to the resolution plan as banks were left with no leeway to restructure the loan and pay the promised Rs 1,500 crore interim funds which would have been converted into equity at Re 1 a share and also take over the management control. Before its last flight tonight from Amristar to Delhi, Jet's fleet diminished to just five aircraft and 37 flights from 123 planes and some 650 daily flights till December last. 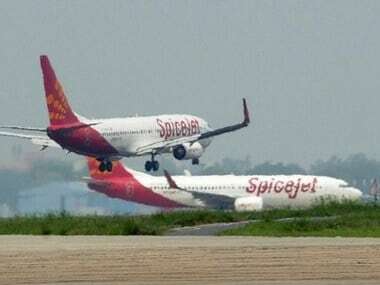 "This (temporary grounding) decision has been taken after a painstaking evaluation of all alternatives that were made available to the airline and after receiving guidance and advice on the same from the board," the airline said, adding it has informed the civil aviation and finance ministries besides the regulator DGCA, of its decision. The carrier, however, said it will now await the bid finalisation process by the lenders. Earlier this month, SBI Caps, on behalf of the lenders, had invited bids for selling between 32.1 percent and up to 75 percent stake in the airline and the bids were open from 8 April through 12 after a two-day extension. The airline said the expressions of interest were in and bid documents were issued to the eligible recipients Wednesday. Banks Tuesday identified four bidders—Etihad Airways, the national investment fund NIIF, private player TPG and another fund house Indigo Partners as eligible bidders who have time till May 10 to submit the final financial bids. "We are actively working to try and ensure that the bid process leads to a viable solution for the company," the airline said, adding it will continue to support the bid process initiated by the lenders. "However, we must also be realistic that the sale process will take some time and will throw up several more challenges for us, many of which we don't have the answers as of today," chief executive Vinay Dube said in a communication to the employees. "For example, we don't have an answer today to the very important question of what happens to the employees during the sale process," he said. Meanwhile, JetPrivilege, the company that handles Jet's loyalty programme JPMiles, in a statement said, "We would like to assure our members that the value of their JPMiles are secure and remain intact as members still have the choice to redeem their JPMiles to fly free across more airlines and destinations anywhere." Meanwhile, the Ministry of Civil Aviation (MoCA) said on Wednesday it will support the resolution process within the existing regulatory framework. 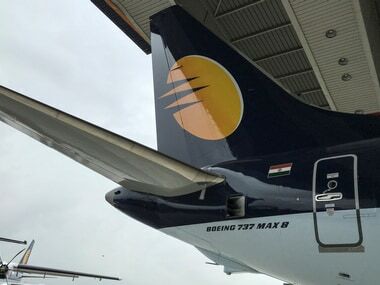 In its first reaction on the latest Jet Airways development, the ministry also said that the DGCA and other regulators are monitoring the situation carefully to ensure that all existing rules regarding refunds, cancellations, and alternate bookings are followed strictly.